Michele Gonsman is the founder and owner of Gonsman Group, Legal Nurse Consulting. Michele is a Registered Nurse, an Advanced Legal Nurse Consultant, and a Certified Product Safety Specialist. Her education includes a Bachelor of Science in Nursing. Michele is highly skilled with over 20 years of clinical nursing experience including Wound Care, Pressure Ulcer Prevention, Surgical Trauma Intensive Care, Surgical Progressive Care, Acute Care, Telemetry, Orthopedics, Neurology, Clinical Instructor, Medical Sales, and Medical/Surgical Charge Nurse. Michele is a clinically active Emergency/Trauma nurse, and has been for over 13 years. She is also a trained Sexual Assault Nurse, and helped form the Sexual Assault Team at her hospital. Michele is also a highly sought after national speaker. She has spoken to prestigious attorney groups such as the Etheridge Society in Virginia and the Western Trial Lawyers? Association regarding Audit Trails and the Electronic Medical Record. She has been a keynote speaker, and will be featured on the cover of an upcoming issue of Inspirations, a legal nursing magazine. She lectures for nurses and healthcare facilities regarding the Affordable Care Act, Documentation, and the Electronic Medical Record. Most recently she has published a book, “The Affordable Care Act for Nurses”?. Michele is a passionate patient advocate. She strives to give every medical record a voice. Her work product has been called “worth its weight in gold”?. Michele has turned Gonsman Group into a national legal nursing company. Her personal goal is to have a case in every state. She describes it as a “One Stop Shop” for attorneys. Gonsman Group can provide services such as a case analysis/review for merit, assistance with discovery, or finding an expert witness. Gonsman Group has access to hundreds of nurses and physicians. 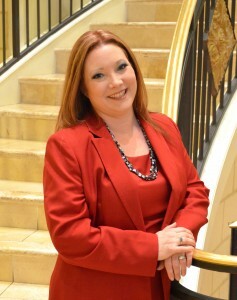 Michele works closely with attorneys, paralegals and in-house physicians and nurses. Michele lives in Duncansville, Pennsylvania with her husband, Mike. They have six teenage children. Contact Gonsman Group for a free initial case consultation.